After the debate between President Obama and Governor Romney this week, Romney's son Tagg was asked on a radio show the next day how he felt about the President calling his dad a liar. On his show, The Last Word, Lawrence O'Donnell spent time in his Rewrite section of his show to not only expose the ROMNEYMAN as chicken hawk cowards, but actually called out Taggart Romney to fight. Fistacuffs! You have to watch the whole segment to appreciate the challenge O'Donnell put to Romney's oldest son. Perhaps O'Donnell went over the top to call Tagg out for a fight, but he was spot on to convey that ROMNEYMEN do not enter the military to serve their country. Also worth noting is the inability of Romney's son to notice that his father is, in fact, as O'Donnell pointed out, trying to lie his way into the White House. Romney told several lies during that debate, and one was documented here. 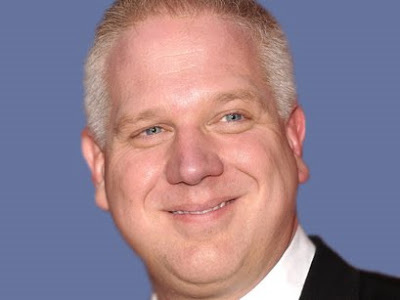 So what does this have to do with Glenn Beck? Aside from Romney having introduced Beck in 2009 as a "statesman" and choosing Beck's "soulmate," Paul Ryan for a running mate, this rant became a story picked up by The Huffington Post and Beck's fake-news site, The Blaze. Neither story did much analysis of this challenge, but The Blaze's Jason Howerton did refer to this clip as "bizarre." It was indeed quite unusual. Not surprisingly, they cut out the entire beginning of this segment where O'Donnell exposes the ROMNEYMAN for the cowards that they are. Now imagine how Fox "News" and Beck would have replied if Obama had a grown son who had expressed a desire to take a swing at President Romney. You think "tough guy" Bill O'Reilly would have the testicles to call out Obama's son for a fight? It's doubtful, but Fox would be flashing that idea as a "Breaking News" story that would fill hours of time on that GOP propaganda channel. Beck? I seriously doubt if he's ever gotten into a fight either, but he would no doubt express outrage about the younger Obama's black anger. If you still doubt that Romney is trying to lie his way into the White House, check out the 49 lies listed on just one of 39 web pages listing his many false claims. See "Chronicling Mitt's Mendacity, Volume XXXIX." Update, 10/24/2012: After the 3rd presidential debate, Tagg Romney made it a point to apologize to the President. See the story on the Daily Kos.